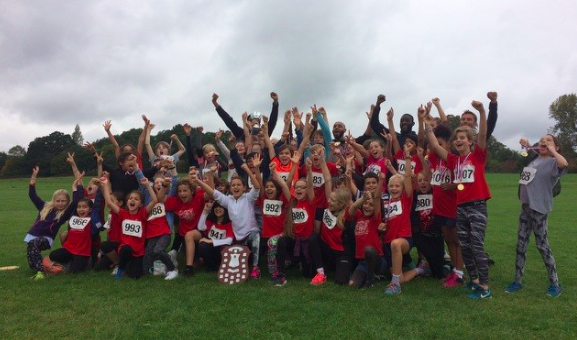 CSSA Cross Country Champions – AGAIN !!!!! In addition to this, the Y6 boys team won their overall race as a result of 5 runners coming in the top 30 and there was a fantastic show of solidarity from the Y5 boys team who sought out a team mate when they realised that he wasn’t with them on the start line. As one boy put it – ‘it doesn’t matter if we don’t win, it’s the taking part that counts.’ Pleasingly, 3 of them went on to secure top 6 places. 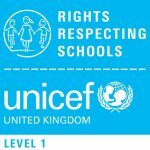 All the children did amazingly well to complete the course and it was our fantastic Brookfield team spirit, which enabled us to come 1st again. We even managed to beat last year’s score by approximately 90 points. A special word of thanks extends to Haseeb who did an amazing job preparing the children for the race. In addition to the work he did in school, he also laid on some fun early morning training sessions on the heath which proved popular with parents and children. 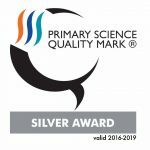 A special mention also goes to all the parents who came along to cheer on the children and to the additional Fit for Sport Staff who helped on the day. 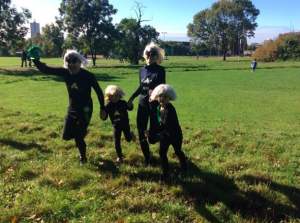 Thank you to all those who turned up for our annual Fun Run on Hampstead Heath. In all we had 22 teams who registered and 82 runners took part. 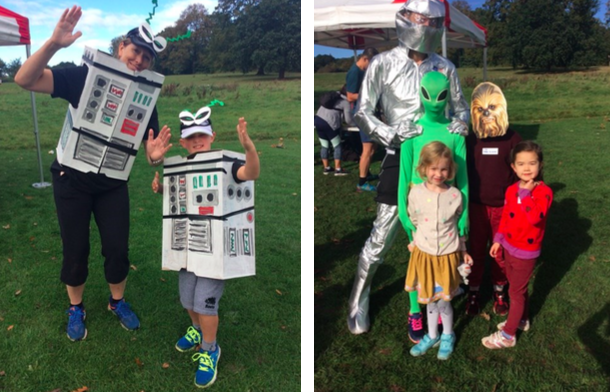 Everybody made a fantastic effort to dress up in their space costumes and run around the course. Congratulation to Panda Salamander (Dan and Josh Cedar), the Sun Team (Zoe, Matthew and Dennis Johnston Webber) and Holst with the Mo(l)st (Lucas, Dougal and Andy Farrer) for taking the top 3 places and to the following teams for scooping rosettes for their fancy dress costumes – Ashforth Aliens, Alien Space Robots Rule and Alpha Centuri. Other individual runners who ran exceptionally well were Dexter (Y6) and Conrad and Eben (Y2). A special word of thanks extends to Collette and Alison for their marvellous organisation of the event.￼Some more photos are going be posted onto the school’s website and a video will also be uploaded in due course. If you weren’t able to make it along, do please consider sponsoring one of the teams for their efforts. The money raised will go towards supporting activities in school. 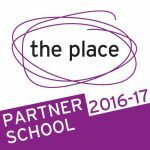 This term has got off to a promising start and Mark would love to see you for his termly drop in, this Tuesday at 9.05am in the lower hall. Come along to find out more about this year’s priorities , challenges and things to look forward to. If you haven’t handed in your permission slips for this year’s trips and workshops, please do so asap. Children will start to go out on trips in the coming few weeks. On Thursday February 8th (just before February half term) we are going to be running our first ever Brookfield Auction. A committee involving Sebastian, Eiril, Katherine and I have been meeting to start organising it and we would love some additional people to get involved. We hope to be able to invite a celebrity along to help with one of the rounds and plan to have some great refreshments, entertainment and of course some amazing lots to bid on. 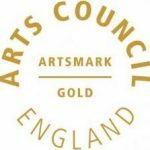 If this is something which you would like to get involved in, please would you contact Sebastian on sebastian.gardiner@yahoo.co.uk. Many thanks! Congratulations to me for completing my half marathon obstacle race! I was 1st out of 392 for my age category and 6th of 2,367 overall. There is no netball tomorrow – those in the school team, please refer to the schedule. On Wednesday 4th October, there is a mixed school dodge ball tournament after school. PLEASE return permission slips asap! Due to popular demand, I will be continuing the pre-school run on the heath starting next week Tuesday 10th Oct 8am, same entrance as before. This Half terms lunches are £79.20. 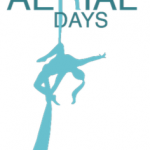 Aerialdays run fantastic trapeze and silks sessions at Brookfield on Thursday evenings and Saturday afternoons. 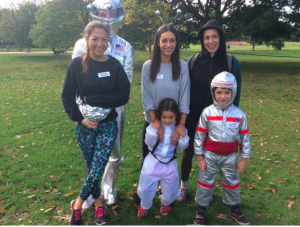 A MASSIVE thank you to the wonderful organisers of the SPACE RACE FUN RUN and all those who took part! It was just OUT OF THIS WORLD. A reminder that the sponsorship deadline October 12th. Don’t forget to donate here: MyDonate. Please make/buy brownies and/or rocky road and bring them on the morning of the Rodeo to the office. Do volunteer to help out on a stall if you haven’t already. If you are a hairdresser or make- up artist or fancy yourself as one please get in touch with Tabitha. At the next sale on 12th October there will be a chance to buy PRE-LOVED HALLOWEEN COSTUMES to save us SHELLING OUT FOR NEW ONES… so please donate costumes to the office!